The Juice Kf4 is full of bright ideas. 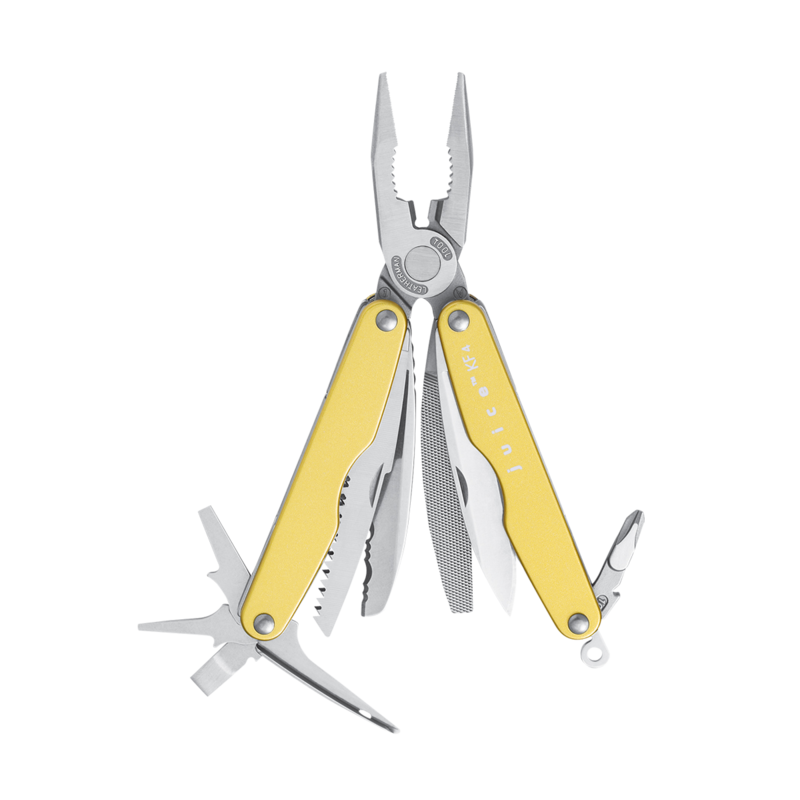 Luminescent outer panels of yellow or gray anodized aluminum enclose Pliers, wire cutters, and four screwdrivers, as well as a saw, awl and diamond-coated file. 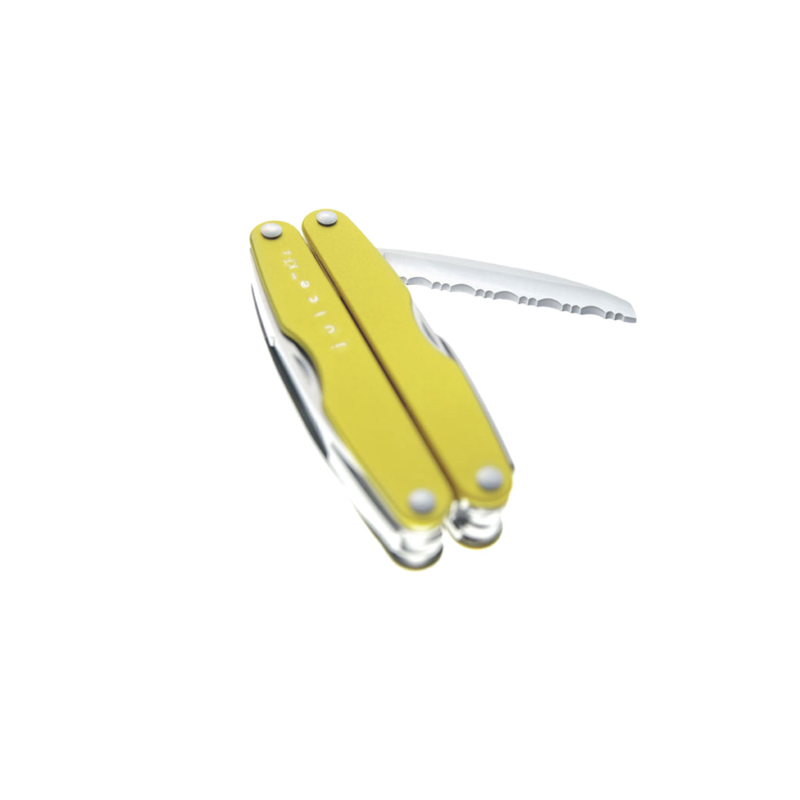 The Kf4 gives you a choice of a straight knife blade or serrated. With a slightly thicker size, it also provides a handy ruler and comes with a lanyard attachment. The Kf4 is covered by the Leatherman 25-year warranty.